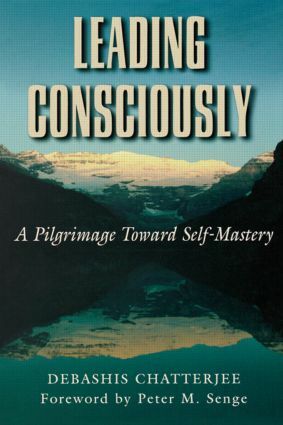 Leading Consciously addresses the issues of motivation, decision-making, communication, time management, effective learning, work psychology, organizational development, and self-mastery. The author weaves together the insights of some of the most remarkable leaders of the world whose lives embody great truths about leadership and self-transformation, masters such as M. K. Gandhi, Edmund Hillary, Mother Teresa, and Albert Einstein. Debashis Chatterjee is an international management thinker, Fulbright scholar, corporate philosopher, mystic, and writer. He is a member of the faculty in Behavioral Sciences at the Indian Institute of Management in Lucknow, India. An immensely popular speaker on the themes of spirituality and modern management, Chatterjee organizes frequent leadership retreats for diverse audiences of executives, doctors, scientists, political leaders, and social service workers in India and around the world.